Answer these 10 questions to gain a clear understanding of the direction you are taking. 1. Are You In It Just For The Money? Naturally, money is an issue when starting a business, however, focusing solely on money is the wrong way to go about starting a successful business. If you start a business that is not interesting you but has a good payout, you will find that even if you make money, there will still be a void. You won’t have the satisfaction of running a business that you enjoy while making money. Furthermore, when running a business simply for the money, you will find that if problems occur, you will start looking for an escape rather than a solution to the problem. Find a business you like and you will be better off in the long run! 2. Are You Just Looking at the Revenue? Don’t focus on just the revenue; Some people look at this rather than the expenses and sacrifices involved to get that revenue. For example, you get your car towed to the next town; Your bill is close to 100 dollars and you think that guy just made an easy 100 bucks for a 40-minute drive. However, you have to factor in the cost of setting up the business, maintenance costs, employee costs, advertising, etc. Don’t just focus on the revenue; factor in what it takes to make that revenue. 3. Have You Assessed The Risks Involved? You need to assess the risks involved in the business. What if it doesn’t work? What have you risked to start? How much money are you out? How will you pay that money back? Risk is a huge factor that banks look at when lending you money. Banks loan out thousands of dollars and they know the risk factors. If your banker doesn’t give you the money for your business, then you should look closely at the reasons why. It may be the best advice for your situation. 4. Do You Understand The Inner Workings of Running A Business? Some people get into a business without knowing enough about it. 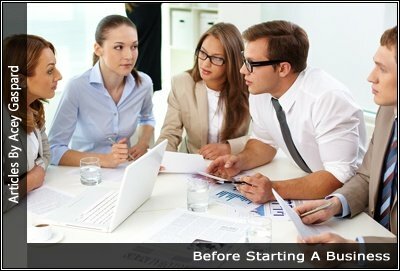 You should research the business you’re planning on getting into beforehand to be ready for anything that comes your way. You could also visit a business that is already in operation to get a feel for what will be required to run said business. You could even try to get a job working for someone that has the type of business you’re considering or talk to a business owner that is far away from your location, i.e., you’re not a threat to his business in terms of competition. 5. Will You Require Employees? You need to figure out if you require employees to help you run the business and how many. You can also consider subcontracting. With subcontracting, you won’t need to hire employees and take on the responsibility of payroll, taxes, benefits, etc. 6. Will You Need Expertise to Run Your Business? You may have many skills, but do you have all the skills needed to run the business? If not, you’ll need to know what it’s going to take to hire the right people or subcontract the services you need. 7. Where Will You Get the Money to Start Your Business? Where will you get the money for your start-up? Will you use your own money? Will you get a loan? Will you mortgage your house? Will you sell assets to get started? 8. Will the Business Support You Now? Many businesses, especially start-ups, take time to start producing enough money to stay afloat and produce an income for you. You need to make plans to support yourself in the early stages of your start-up, because your business probably can’t support you. 9. Are You Willing to Put In the Extra Hours? Aside from the daily tasks of running your business, you’ll need to take time to do other business tasks. For example, if you’re running a retail store, you will be taking care of customers, sales, suppliers, keeping the stock up to date, etc. You also need to take care of accounting, scheduling staff, record keeping, filing, advertising, etc. These tasks will take extra hours after you have closed. Are you prepared to do this? 10. Is There a Demand For Your Business Idea? Have you done your research to assess if your business is in demand? Are there a lot of similar businesses? If so, what would make your business different? What would be your competitive advantage or your niche? Anyone can start a business. Make sure you don’t start a business where there’s little demand for your product or service.